PT. Delion participated in SIAL Interfood, a dedicated platform for ASEAN food and beverage industries, especially bakery, desserts, and beverage. The event, which was held at JIExpo Kemayoran from 21-24 November 2018, absorbed more than 50,000 visitors from ASEAN countries. In Interfood 2018, PT. 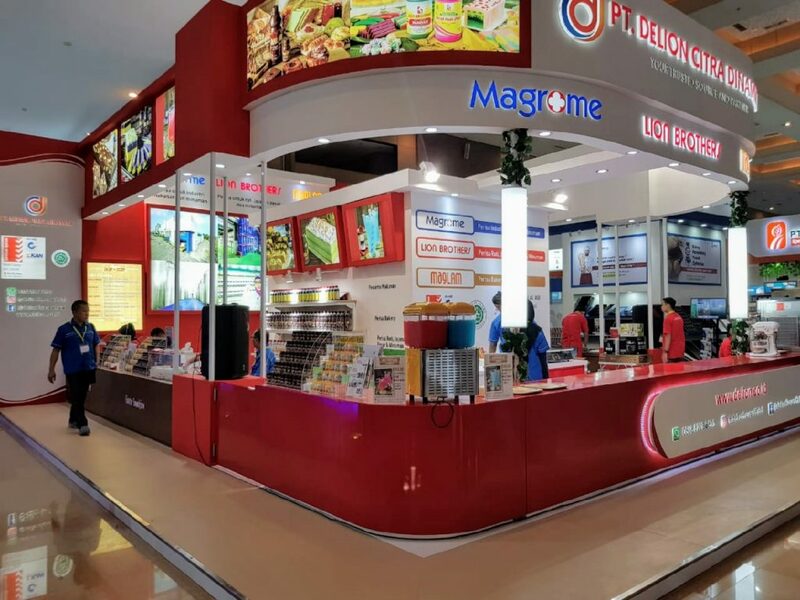 Delion brought a different concept from last year by exhibiting the numerous capabilities of Lion Brothers and Maglam in bakery and horeca industries. We presented 17 menus, ranging from brownies, classic cakes, trending cakes, cookies, beverages, and ice cream, all of which were created using Maglam and Lion Brothers flavors. In addition, we carried out baking & pudding demo with 20 innovative and inspiring recipes, along with guest chefs Yuliana Dias, a pudding art and desserts expertise, and Meida Felici, a Batik and modern cake expertise. New and existing customers, as well as baking demo participants, showed great interest in our menu creations. We hoped to deliver new and bright ideas in the future Interfood 2019! Note: For more captures of the event, check out our Instagram account.